Generally such errors typically fixed by checking the box “Allow inheritable permissions …”. However this has not solved the problem for us. After going back and forth and trying different solution the culprit was found in Active Directory. 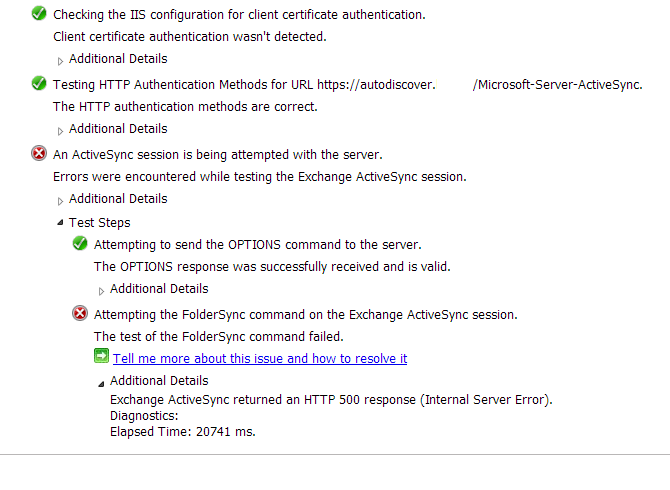 The simple fix is to give Exchange Servers group proper permissions for msExchActiveSyncDevices objects. What is important here is to make sure it's correct object because there is also msExchActiveSyncDevice (without s) higher in the list which makes it the first choice (as it did for us – and it doesn't fix the issue).